Clean-O-Rama has a dedicated custom matting department for all of your entrance matting needs. We cut them in house, to your specifications, cutting out time and saving you money from having the manufacturer cut them and send them to us. Quicker turn around time and a savings to the customer are a winning combination that make our custom matting program head and shoulders above others. Ask us for a quote today! Clean-O-Rama's customer service is unparalleled by any other Jan/San supplier in our area. Fast, friendly, and knowledgable, we can assist you with any questions or concerns that come up during your day. Call us for any occasion; from placing a quick order to help finding a product that will suit your needs. Clean-O-Rama offers freight free delivery via our own trucks and friendly delivery drivers, ensuring you get your products on a weekly basis. 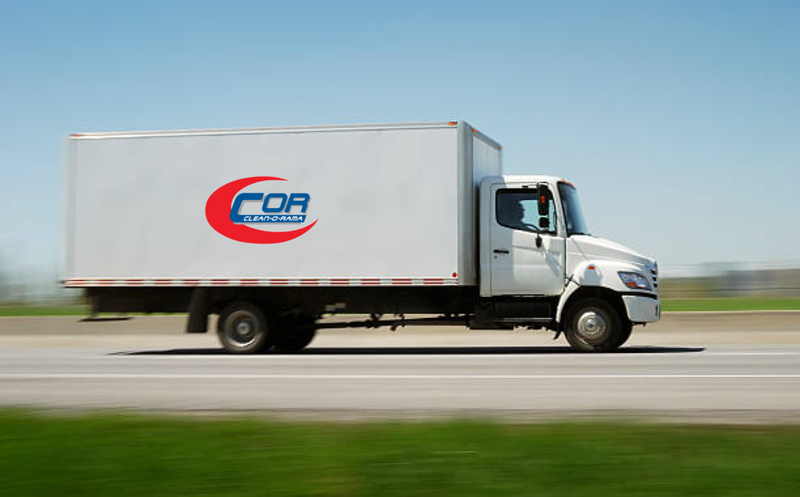 We cover a large area for delivery; from Northern Maine to the White Mountains Region of New Hampshire. Clean-O-Rama is committed to making the ordering and delivery process easy and convenient.